Have you ever wondered what the real value of your home is? You might be considering selling it, or you are just curious in asking yourself ‘how much is my house worth‘. By knowing how much you could sell for now or at any given time will allow you to get a great deal and maybe even the opportunity to move into your dream house. Being involved in this business sure has its advantages, and one of them is that we can help people understand how it works and what to do so they can be happier. When it comes to housing, the first thing to understand is the difference between price and value. The price is the amount of money you ask when selling the house. The value, however, includes elements of perceptive order such as; the area where the house locates, the parts of the flat or house and all of them are put in balance with other offerings on the market. So now comes the question, how do you know if the price you are asking for equals the value of your property? 1. Check property prices in the same area. By performing checks related to houses sold within your area, you can get useful information on the price range at which similar homes are listed and compare them with yours. Rational owners understand that to sell a house they have to be competitive. If your house costs as much as similar ones in that area but has not sold yet, it is possible that the price is higher than the actual value which should be avoided. Why it is a good thing to test the development prospects of the area, you may ask. Because any investment, be it a supermarket, workplace, park, train or tube station and so on, will be considered a strong signal of confidence which might cause the house prices to grow. On the other hand, if small businesses in the area are closing one after another, a decline in housing could appear. By monitoring this kind of activities, you could get an extra tip on when to sell and when to wait. The best advice we can give to someone who does not have enough time it is to work with an Estate Agent, which will value your home by analysing it alongside with the previous, current and future situation of the market. The estate agent will tell you what similar prices houses have sold recently and what prices other homes within the area is currently being listed. Given the experience and the available information they have, the specialist assessment will be the closest to the real value of your home. So how can you change this in your favour? We can offer you some tips to help you in this matter. A kitchen equipped with appliances and custom furniture produces a substantial visual impact on buyers, especially when it comes to families. When people are moving to a new home, often, their furniture does not fit anymore. If you offer all of those as a bonus, your buyers will be overcome by emotions because you just solved one of their problems and they might just pay your initial price. Another thing to keep in mind is that most people prefer big spaces over small ones, especially when it comes to the kitchen because they can get really crowded, so something has to be done to ensure they are happy with the size of it. If you have a small kitchen, what can you do? Paint it in white and you will create the illusion of larger space. As an extra step to make sure you are ready in case they say that white is hard to maintain, choose a right countertop and they can enjoy the elegance and beauty of a white kitchen which is equally classic and modern. 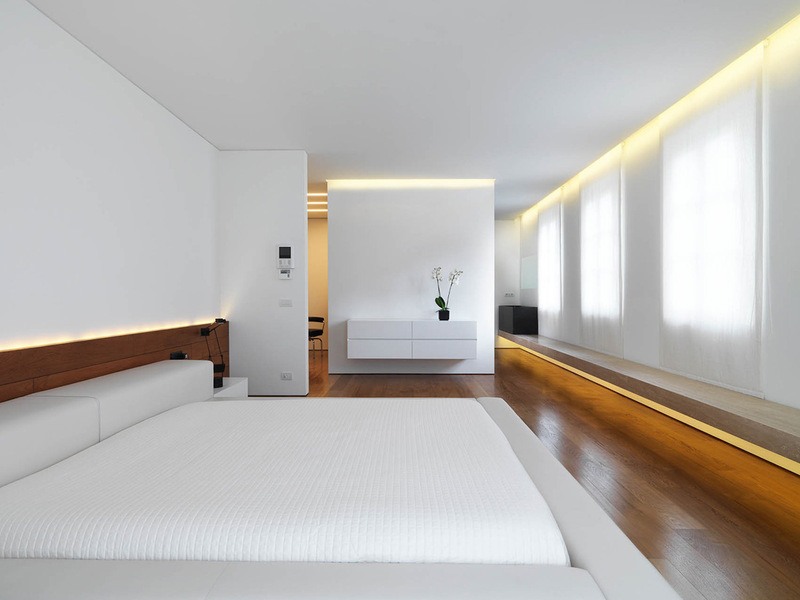 There is another benefit in using the colour white which is the calming effect, proved by research. If you don’t have anything white inside your house you are lucky, you can apply this to make it look bigger. However, what do you do if everything is already white? Without a doubt, a spacious home sells faster. If your home is not as big as potential buyers would like it to be, is there anything at all you could do to address this? Expanding your house might not be such a great idea if you want to sell if because you want to get rid of it quickly, or you just cannot expand it. 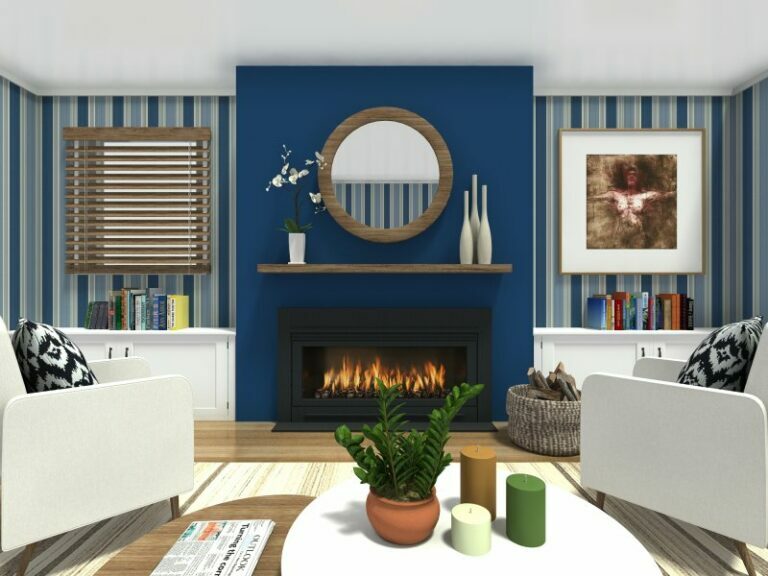 The next best thing to do is to create the illusion of a bigger home using interior design techniques. Interior designers know that horizontal stripes are efficient and that’s why they use it. If you want to “increase” the size of your living room, paint one of the walls in wide horizontal stripes. When decorating a small room, keep in mind that good lighting can make it look more spacious. As a bonus, you can also use shiny surfaces to reflect the light inside and make it appear bigger and brighter. If you have a small room and want to buy new furniture, look after shiny surfaces of glass, mirrors or framed paintings. Take a look again at the first two pictures from above. Why does the second look bigger? Because it has less furniture compared with the first one. If the above tips for creating the illusion of a bigger room are not enough, consider using a distracting colour on one of the walls. Cleanliness will give more perceived value to your home and it will be appreciated by everyone who is going to view your home. Hide your family portraits as potential buyers want to imagine themselves living there, not saying how cute your daughter is. Clean your windows so they shine. Clean and arrange your carpets. Clean the dust off your furniture. If you have animals, ensure they don’t leave any traces of hair. Make sure your plumbing installation works properly and looks clean. Let the sun inside your home as it will make it look warmer. Get rid or hide anything which is not essential. For further documentation on cleaning the interior of the house, click here. Clean and repair your front door if necessary as it will be one of the first things potential buyers will look at. Replace dead plants with new ones. Close the garage door because you want to sell your property, not your car. It is said that a picture it is worth 1000 words, but in the case of selling your house, it’s much more than that. Using professional images within your ads when trying to make a quick sell makes a huge difference in the number of calls you are going to receive from people who already like it as you’ve presented it to them. Think about it: if you would want to buy a house and you are checking a website which has over 100 listings, would you even click on one advert without a picture? Probably not. Bottom line: The better the quality, the higher the conversion rate. In the article published by Sanette Tanaka US, you will see the study conducted which shows that 95% of visitors limited themselves to just looking at images of the property listings. Professor Michael Seiler from the University of Norfolk claims that listing a property without images will result in having the battle lost before starting it. He also stated that a picture should grab the attention within 2 seconds because our attention span has reduced because of today’s technology. Even if a house is well presented and is in an excellent condition, an unprofessional image can send the visitors a different message. Because of that, it is critical that the chosen images for the ad are selected with care so that it will send the right message to the potential buyer. The idea of saving is good but don’t try to save money where it is not the case. A professional image listed will indeed gather more views. Professional photos can do miracles in a typical home. Because the first impression always matters, ads with professional pictures will always gather more views, research says. If you don’t want to sell the house yourself but go to a professional, how do you think they are going to sell it? Choosing the right marketing strategy is vital if you want to sell your house fast. If you are doing it on your own, consider getting help because marketing your property is not easy. If you decide to get help with this, you don’t even have to deal with it because professionals will. When it comes to selling, it is important to differentiate from your “competitors” to ensure your house is going to sell faster. Do You Know the Value of Professional Property Photography?